Did you know nappy creams instruct you to wash your hands before application to reduce the risk of transferring germs and bacteria from your hand to your baby’s sensitive skin? A cursory glance at this seemingly simple spatula-style invention may have you chuckling at the absolute ridiculousness of today’s marketed nursery (non)essentials. But wait just a minute for another fast factoid. Yes, your finger could just as easily do the job of smearing a bit of bum cream on your bab’s tush; however — did you realise it could actually be the source of perpetuating nappy rash? In the likely event that you don’t wash your hands before dealing with bambino’s business end, you might be transferring bacteria directly to baby’s sorest and most sensitive parts when you put nappy cream on the usual way. Enter the Baby Bum Brush. 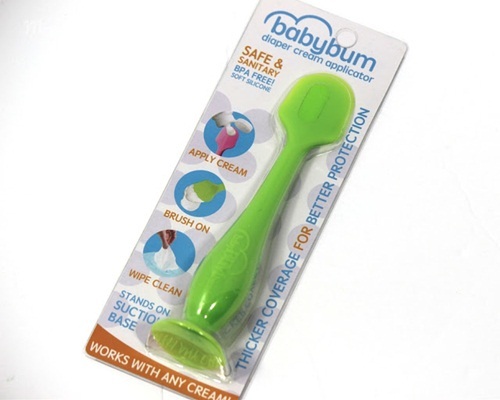 The mum-invented, ingenious tool, made from BPA free, soft and flexible silicone, is a naturally antibacterial applicator, shaped to “frost diaper cream on little bums” faster, with a smoother and thicker spread. 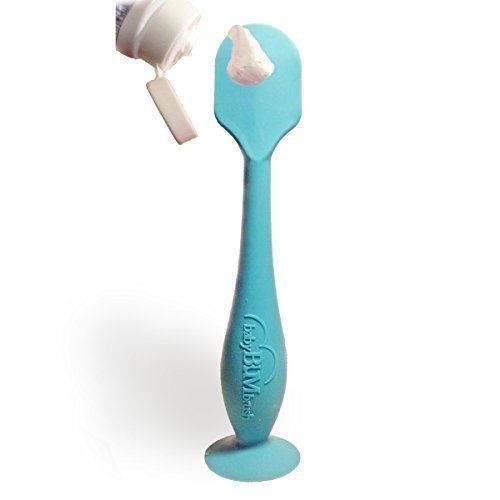 It has a suction base so you can put it aside without getting cream everywhere while you put a new nappy on and it’s cleaned easily with a single swipe of a wipe. The Baby Bum Brush is available to purchase online, with five different colours from which to choose. Product plus shipping will set you back around £15 – a small price to keep lil’ buns scrumptious, no?